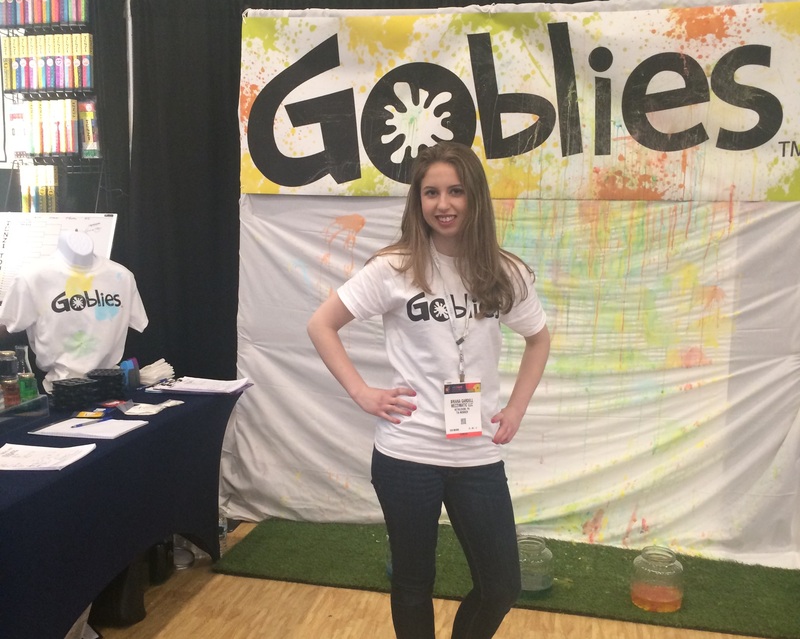 Briana Gardell, founder of Mezzimatic, displaying Goblies at the Toy Fair 2016 in New York City. Mezzimatic will occupy the 831 square foot space that will house their sales and marketing efforts associated with their flagship products Goblies and Play Paint. 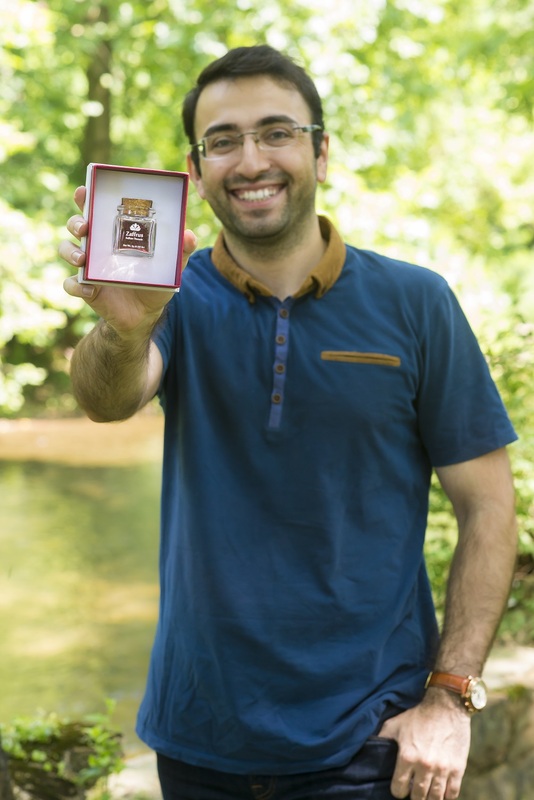 Ali Almasi with his product, Zaffrus. The company was founded by Briana Gardell, who designed marble-sized paintballs that can be thrown by hand as part of a master’s-level Technical Entrepreneurship course at Lehigh University. That idea led to the formation of her company, which has grown rapidly and started selling Goblies in Michaels department stores last year. “Creating content for social media or sales pitches is so important and a dedicated space with lighting and nice backdrops helps bring an idea to reality quickly,” Gardell said. Almas Goods, founded by Ali Almasi, imports and sells saffron, a very rare spice derived from flower prominent in his home country. The spice is used in various types of foods, boosts the mood of those who eat it, and has many health benefits associated with it. 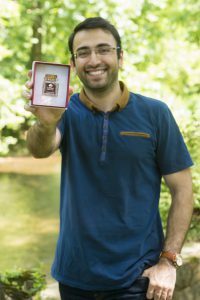 Almasi grew up in Iran and traveled 6,500 miles to move to the region specifically to join Lehigh’s Technical Entrepreneurship Master’s Program, which he said his research led him to discover was one of the top entrepreneurship programs in the country. He found the Lehigh Valley had many great resources for entrepreneurs and decided to stay here. “Our Pi office is more than a comfortable, affordable and easily accessible location to work from,” Almasi said. “I’m using the space to move two projects in our new healthy beverage products forward which are vital in the growth of the company. Almas Foods will occupy 232 square feet of space that will house their offices and research and development portion of the business. 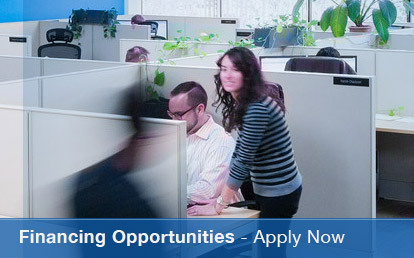 Pi provides affordable office space to startup companies that are eligible for the Southside Bethlehem Keystone Innovation Zone (KIZ) program. Gardell and Almasi both took a similar path in starting their businesses, utilizing the many available resources in the region’s entrepreneurial ecosystem. In addition to utilizing Lehigh’s Technical Entrepreneurship Master’s Program, both started their companies as SoBeCoWorks, a privately-owned coworking facility that has helped to launch several startups. Pi is located on the 2nd floor of a 1911 silk blouse factory in the heart of the Bethlehem’s Southside neighborhood. It offers shared facilities and private, secure office suites ranging from 115 to 1,900 square feet. The building’s industrial feel is retained in wood floors, brick walls and open ceilings designed to help creativity flow. Companies typically utilize the space for a few years until established enough to occupy traditional office space. 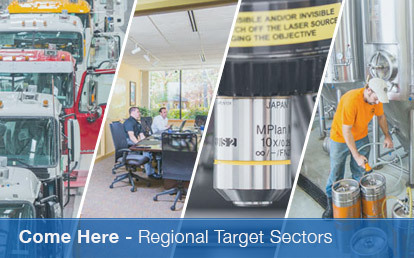 The city and the Bethlehem Economic Development Corporation work closely with the companies to identify space. 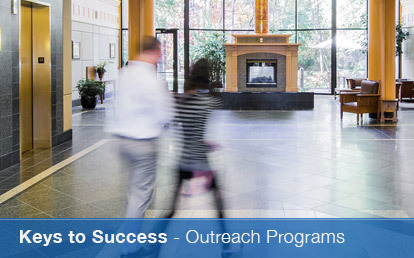 The Southside Bethlehem KIZ provides other financial and advisory support benefits beyond technology transfer grants. Qualified startup companies can also receive student internship grants totaling $2,500 for undergraduate students and $5,000 for graduate students.